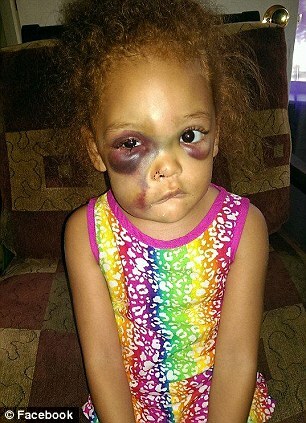 A Mississippi mother has launched an online campaign for justice after her little girl was allegedly severely beaten in a vicious playground attack last week. 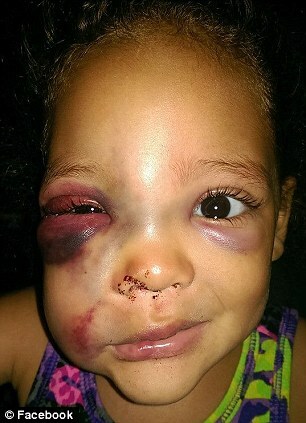 Disturbing images posted to the 'Justice for AvaLynn' Facebook page by mother Lacey Harris reveal the kindergarten student's bruising injuries, which her school claims happened when the five-year-old fell over. Harris refutes the official explanation from Arlington Elementary School and says that she wants a police investigation because her child's injuries are simply too severe to have been caused by a fall. 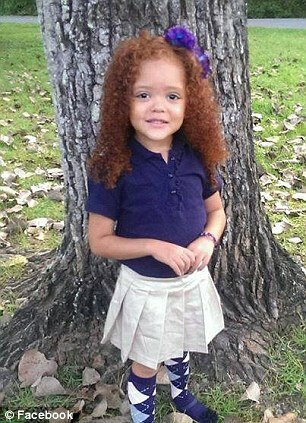 According to Harris, her daughter AvaLynn was kicked until she fell off the slide in the playground during her first week at Arlington Elementary in Mississippi. The Pascagoula School District said that nothing violent happened to the little girl and she merely fell to the ground whie outside playing. 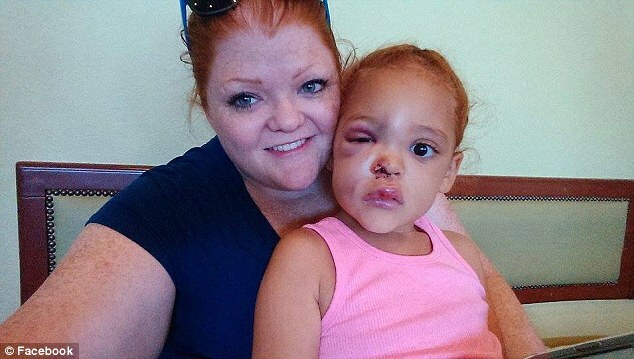 A post on the 'Justice for AvaLynn' Facebook page gives Harris' alleged account of how her daughter was left with such severe black eyes and swollen features. 'AvaLynn informed Lacey that she was assaulted by another student: that she was kicked repeatedly in the face until she fell off of the slide on the school's playground. The school informed Lacey were no teachers present when the incident occurred, and because of that, no one could prove whether or not another student had harmed Ava,' the post reads. Harris has retained the services of a lawyer, who has insisted she make no comment to the press while they press for a police investigation. She has also opened a gofundme page that has raised in excess of $5,000 to help with AvaLynn's treatment. 'There is a need for repeat CT scans, specialist visits to an ENT, ophthalmologist and quite possible orthopedics for her little face,' Harris wrote. The Pascagoula School District spoke to gulflive.com about the incident to say: 'A student was injured while playing on the playground at Arlington Elementary School Tuesday afternoon. School officials responded to the situation. Police have said they will not open a file because they do not believe any criminal activity occurred. They needs their asses whopped trying to say that child fell into what??? a fist because stairs didnt do that. 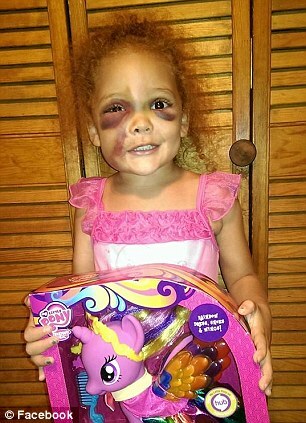 I'm sorry I cannot imagine picking up my child from school and she looks like that. I would have blacked out and *&%^$#@Eed something up. 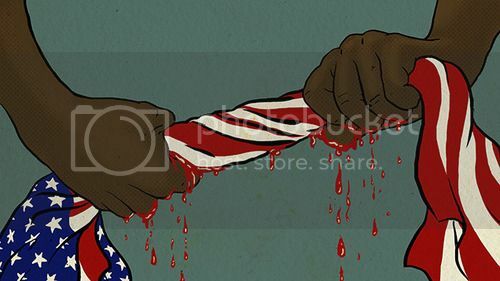 I can't imagine..I wonder if there's more to this. And also this..I don't trust some of these yt trashed out hoes with mixed babies. I'm probably going to hell for that.. I'm just pausing with my outrage. The KFC dog bite hoax story lemme know yt women can be devious using their kids for cash. Because she knows she is about to get paid!!! !